Over on VentureBeat, serial leaker Mr Evan Blass has posted an image of the device we’re all expecting Google to announce during their October 4th event. 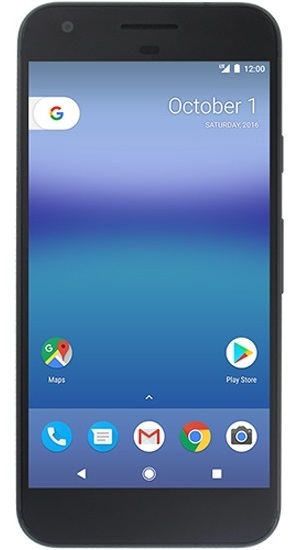 It’s thought that the “Nexus” brand will be cast aside in favour of the new “Pixel” name, and this HTC-built device is expected to sit next to a “Pixel XL”, which will have a 5.5″ QHD 2560×1440 pixel screen, Snapdragon 820 CPU, Adreno 530 GPU, 4GB RAM, 32GB storage, a 13 megapixel rear camera and an 8 megapixel front. This, the Pixel, should have a slightly smaller 5″ 1080p display with an unknown quad-core 2.0GHz 64-bitCPU and 4GB of RAM. It too will have 32GB of storage but there’ll be a 12 megapixel rear camera (although I’m of the opinion that it’ll be the same 13 megapixel one). The same 8 megapixel front cam is expected. A fingerprint scanner is on the rear and there’s going to be a USB-C power port. More details on October 4th!